Boxing champ, Thomas Hearns, was born on October 18, 1958, in Memphis, Tennesee. Hearns is an eight time world champion boxer in 6 weights. He is considered to be one of the greatest boxers of all time. Thomas Hearns was voted the greatest Super Welterweight of all time and the 2nd greatest Super Middleweight of all time by Ring Magazine. 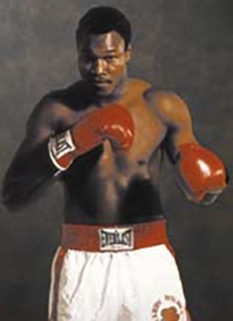 He was named "Fighter of the year" in 1980 and 1984. He became the first ever quadruple, quintuple and sextuple champion in history. Blessed with exceptional height for a welterweight (6'1"), a broad back, and unusually long arms, Thomas Hearns was known for his destructive punching power. His promotional fight name was the Hit Man. Thomas Hearns is known best for his devastating right hand, his powerful left hook and for carrying his left hand low—a stance he uses to lure foes into an exchange, as well as to maximize the speed and change the angle of his jab, a technique called the "flicker jab". Hearns was always commanding in the ring, controling fights with his incredible reach and superb boxing skills always delivering his crunching jab-right hand cross with pinpoint accuracy. He has scored many memorable knockouts in his career, and is widely considered as one of the greatest knockout artists of all time. Hearns began his professional boxing career in Detroit, Michigan, under the tutelage of Emanuel Steward in 1977. 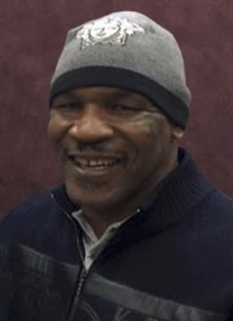 He won eight world championships in six weight classes during his pro career, defeating boxing greats such as Pipino Cuevas, Wilfred Benitez, Roberto Duran, and Virgil Hill. Hearns started his career by knocking out his first 17 opponents and quickly became one of the most feared and respected young boxers emerging in the late 1970´s. In 1980 Hearns carried his 28-0 record into a world title match against Mexico´s dreaded Pipino Cuevas, knocking the champion out cold in two rounds. Hearns was voted "fighter of the year" by Ring Magazine in 1980. In 1981 a dream match had been made, with a 32-0 record (30 KO´s), he fought World Boxing Council champion Sugar Ray Leonard to unify the World Welterweight Championship in a classic bout dubbed "The Showdown". In this fight Hearns suffered his first professional defeat when Leonard stopped him in the 14th round. Still today a much debated stoppage by referee Dave Pearl,as Hearns was ahead on all three scorecards. Hearns and Leonard banked a combined 17 million dollars for the fight making it the largest salary in sports history. Thomas Hearns won the WBC Super Welterweight Championship from Wilfred Benitez in New Orleans in December 1982 and defended that title against Luigi Minchillo (W 12), Roberto Duran (KO 2), Fred Hutchings (KO 3), and Mark Medal (TKO 8). 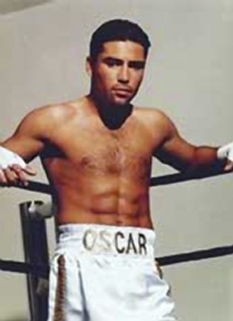 During his reign at this weight, the 2nd round destruction of the legendary Roberto Duran (in which he became the first person to KO Duran)is seen as his pinnacle achievement earning him Ring Magazine´s "fighter of the year" award in 1984. During his time as Super Welterweight champion Hearns also ventured into the middleweight division, losing a legendary battle to World Champion Marvin Hagler in 1985. Billed "The War" this superbout, hailed as the 3 greatest rounds in history in which he fought with a broken hand, elevated both fighters to superstar status. Hearns quickly made amends by dispatching undefeated James "Black Gold" Schuler with a devastating first round knockout in 1986. 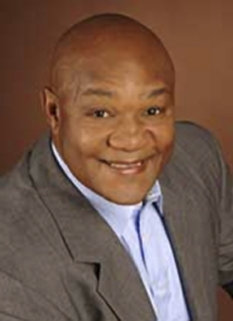 Other notable World Title fights included his 7 knockdowns of champion Dennis Andries to win the WBC Light Heavyweight Championship in March 1987, his four-round destruction of the feared Juan Roldan later that year to claim the WBC Middleweight Championship, his TKO "upset of the year" loss to Iran Barkley in his first defense of that same title, his hard fought win against James "the Heat" Kinchen for the WBO Super Middleweight Title and his convincing decision against undefeated Virgil Hill to win Hill's WBA Light Heavyweight Championship in 1991. Hearns had to wait until 1989 for a rematch with Sugar Ray Leonard,this time for the WBC and WBO Super Middleweight titles, a fight which much of the public believed Hearns won clearly, flooring Leonard in both the 3rd and 11th rounds. However, the judges scored the fight a controversial draw. Later in his career Hearns also won 2 World Cruiserweight titles, making him the only man in history to have won the World Welterweight Title and the World Cruiserweight Title. DISCLAIMER: PFP Sports Talent Agency does not claim to represent itself as the exclusive agent for Thomas Hearns. PFP Sports Talent Agency is a booking agency that represents organizations seeking to hire pro athletes and sports personalities such as Thomas Hearns for speaking engagements, personal appearances, product endorsements and corporate entertainment. Fees on this website are estimates and are intended only as a guideline. Exact fees are determined by a number of factors, including the location of event, the talent’s schedule, requested duties and supply and demand. PFP Sports Talent Agency makes no guarantees to the accuracy of information found on this website and does not warrant that any information or representations contained on this website will be accurate or free from errors. We are often asked how can I find out who is Thomas Hearns's agent? To find Thomas Hearns appearance fees and booking agent details, you can contact the agent, representative or manager through PFP Sports Talent Agency for speaking fee costs and availability. PFP Sports Talent Agency can help your company choose the ideal sports personality for your next marketing campaign. To hire Thomas Hearns for an appearance, speaking event or endorsement, contact Thomas Hearns's booking agent for more information.